TTL11A, Array Speaker Cabinet from RCF. The TTL11A-H is the HF module and is equipped with four 2.5” neodymium compression drivers with 1.5” exit throat. The TTL11A-B is the bass frequency section of the system and features four 8” neodymium woofers with 2.5” voice coil for mid-bass response. 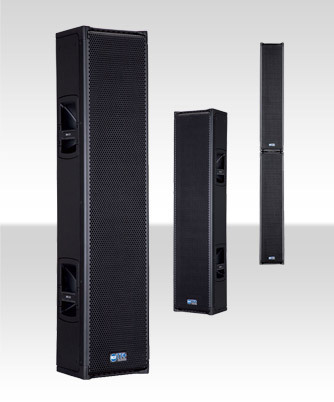 With the addition of the new TTS25-A subwoofer, the TTL11A system becomes a full live sound system. 3 x 8” neo midranges, 2.5” v.c. 4 x 8” neo woofers, 2.5” v.c. Visit www.rcfaudio.com for more details. 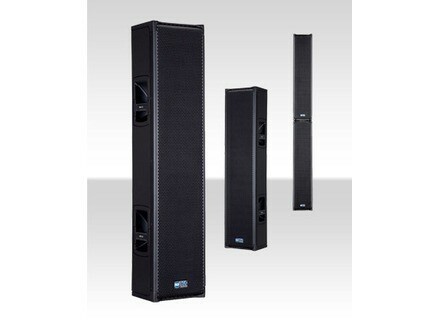 RCF TT052-A The TT052-A is an active loudspeaker specifically designed for indoor applications where the audio beam must be directed towards specific zones. RCF TT051-A The TT051-A is an active loudspeaker designed for indoor nearfield sound amplification, equipped with a 300 W digital amplifier, 150 W for the low frequencies and 150 W for the high frequencies. Peavey Impulse 12D The new Impulse 12D powered enclosure features a true ribbon driver and a 12" field-replaceable, dual voice coil neodymium speaker.